FINsix® was founded by a team of MIT graduate students with the goal of using our technology to build the smallest,lightest, and highest-performing power electronics. We chose the laptop adapter as our first product and set about the task of making high-frequency power ready for commercial production. Our name, FINsix®, represents our core capability: using high frequency circuit architectures to make smaller, more elegant power converters. FIN is an acronym for “Frequency Innovation” and six, or VI in Roman numerals, is the electrical formula for Power. To help us achieve this objective, we’ve built a dedicated team that includes veterans of the power industry specialized in product design, system integration and manufacturing. 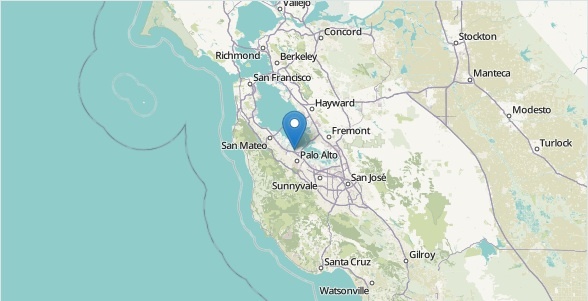 The team is now 35 strong and based in Menlo Park, CA. AC/DC power converters take the AC power from your wall and regulate it to the right DC voltage or current for your electronics. Let’s take a laptop as an example. Every laptop comes with a power cord that you have to carry around for charging. The "brick" on that cord is an AC/DC power converter. Today, power converters are everywhere. All of your electronics from your laptop, tablet, and phone to your LED lights, gaming consoles, and TV require a relatively bulky AC/DC converter. You need to charge your devices but you want the power converter to be efficient, lightweight and as small as possible. The DART® is built on FINsix® patented VHF power technology. It’s this Power Platform that allows FINsix to make the smallest, most advanced power electronic systems, anywhere. A power converter works by delivering small packets of charge to the electronic device over repeating periods called switching cycles. This isn’t a perfect process, and during every switching cycle some energy is wasted in the form of heat. At FINsix, our patented Very High Frequency (VHF) power technology allows us to waste far less energy with each cycle. At VHF switching frequencies (30-300 MHz), energy is processed more often and in much smaller chunks. As a result, the energy storage, capacitors and inductors dramatically shrink and we can achieve up to 10x better power densities. Transient response reflects how fast a power converter adapts to changes in the load or source. Our Power Platform is 1,000x faster. This makes system design easier in applications from radar to LED lighting. Our design eliminates large components like magnetic core transformers. A substantial reduction in material content means that VHF power converters can be cost effectively manufactured in volume. With VHF power, FINsix is changing the way power is delivered and the Dart is just the beginning. The FINsix AC/DC Power Platform is designed to be scalable for applications from 20W to 1kW. It is our goal to embed FINsix converters across a range of applications to enable a new class of smaller, lighter, and higher performance power electronics. FINsixers are working on building the future of power electronics. Our technology is revolutionary; our team is pragmatic and really enjoys working together. Our HQ is conveniently located in Menlo Park, CA just off Highway 101. Every role at FINsix is challenging, fast-paced, and offers frequent opportunities to interact with all aspects of the technology, product, and business. We are actively recruiting for the positions below. Please email your resume to careers@finsix.com.